MEGA Star is a Fully Automated EA . 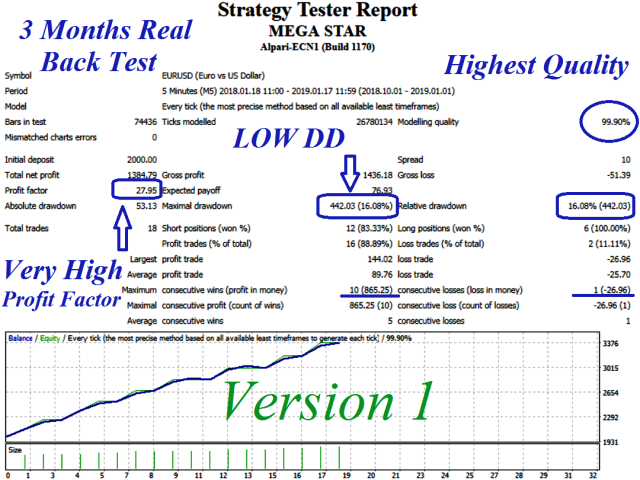 This EA is based on a swing trading strategy that has been completed in several years of activity in the Forex Market. 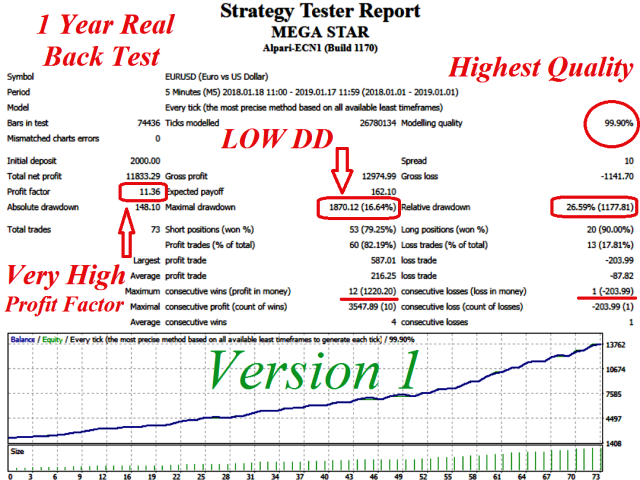 This EA is optimized just for EURUSD and won't be profitable for other currencies. The main advantage of this system is analysing price behavior in multi Time Frames and waiting for the best entry points .for that reason the number of positions during the every month is average 4 positions.Therefore it is useful for those who have patience and love long term and stable profits. This ٍٍَEA is very easy to use because there is no need to set parameters. Please Back Test the Demo version with the modeling quality of 99.90 % to see the Real Results. Use a ECN Broker with low spreads and VPS (Virtual Private Server)for your terminal to work EA successfully.